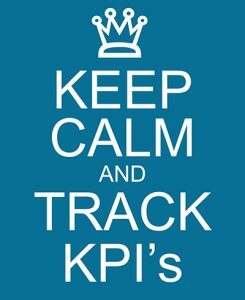 Previously I wrote about KPI’s and how historical measures are useful but aren’t necessarily helpful for prediction. I won’t attempt to describe every possible measure used to meet optimal outcomes, but I will focus on a few of scenarios to make my point. Manufacturing relies on a number of measures that have provided business leaders with crucial information to make informed decisions. Mean Time Between Failures (MTBF) – This compares successful running equipment with other equipment based on machine hours, and is often looked at in parallel with scheduled and unscheduled down time. 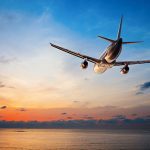 MTBF is typically viewed as unscheduled down time, and causality is a variable that should be added to this. Frequency of failures and how this ties into maintenance plans could also indicate over or under planned maintenance. Spare part stock outs – This examines the quality of MRP and associated maintenance planning for plant and equipment maintenance, while considering when scheduled or unscheduled down time is more protracted than it should be when spare parts aren’t available. This is looked at in parallel with Mean Time to Repair (MTTR). Inventory turnover – Also known as parts stock turnover, measures the number of times parts inventory is used in a time period such as over a year. The equation for inventory turnover equals the cost of parts inventory that were used divided by the average inventory. A low turnover rate may indicate overstocking or obsolete inventory, and speaks to efficiency of capital. A high turnover rate may indicate inadequate inventory levels, which can lead to protracted down time. In most industries, measurements do more than inform management decisions, they converge to inform stakeholders like business owners and upstream or downstream groups and even suppliers. They can also support benchmarking and baselines, and help your business enhance operations. 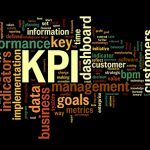 Which indicators and KPI’s do you use in plant maintenance, supply chain or any area of your business as leading versus historical indicator KPI’s? Winshuttle customers use Query scripts to extract critical historical data from their SAP systems for subsequent review and analysis. It’s also possible to use standard SAP BAPIs to extract certain kinds of data from SAP, particularly data that is stored in structures or derived. 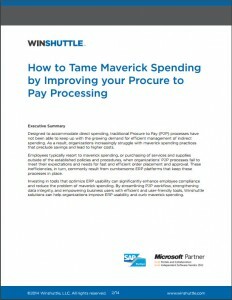 Check out this white paper, How to Tame Maverick Spending by Improving your Procure to Pay Processing, that illustrates how SAP customers can reign in supply chain spend by utilizing Winshuttle to streamline and manage procurement processes more efficiently.